An enjoyable crime-action movie where the detective is given as much screen time as the criminal, and lays a trap for him that becomes the essential plot of the movie. 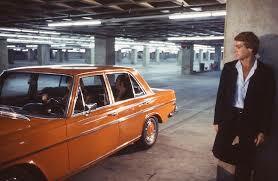 The Driver is an enjoyable movie because of the ways it tries to get away from the usual cop-criminal story lines. It doesn’t quite pull it off, but it certainly is ambitious and deserves credit for trying. The movie is about a criminal mastermind with expertise behind the wheel. He’s a getaway driver for hire and he isn’t part of any old crew, but is more like a loner. Ryan O’Neal plays this driver, and he is cool to the bone. He’s quiet, calm, and confident in a way that is very reminiscent of Steve McQueen in movies like Bullitt. O’Neal is a fine actor, with his best quality being the projects he picks. He’s got a good eye for interesting films, from paper moon to what’s up doc, and while sometimes he is nothing special, the movies are always pretty good. 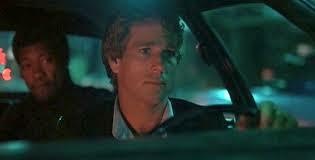 In The Driver, he’s up against head detective Bruce Dern. And darn has made this one man his little passion project, devoting everything to catching this guy, as if it’s an obsession more than a job. Dern wants to catch the driver so bad it affects the way he makes decisions and operates his life. Early on, Dern interrogates a number of witnesses who stand there looking at O’Neal as if it’s a lineup. Dern tries his hardest to get something out of at least one of them. But he can’t. Even the girl, who supposedly was the closest and saw the driver the best, insists that this man wasn’t him. That’s because she’s in on it. Isabelle Adjani plays the witness who has actually been planted at the scene and played off by O’Neal just to say to the police that it was absolutely not he. What a smart move. I haven’t seen this actress since the lousy Sharon stone remake movie, diabolique. I all but forgot she existed. But she does a nice job here, with a quiet role. As the movie goes on, Bruce Dern’s detective decides that he wants the driver so bad, that he’s willing to cut a deal with other criminals just to set him up. He arranges for other men who are being arrested to be let go so long as they pull off another job and hire the driver to help them. And so they do. But first, the driver has to prove himself. In one of the best scenes of the movie, he drives them around an empty parking lot, slamming into things and making dangerous turns left and right. He bangs up the car real good, and the point of all of it is that no matter what happens, he can still drive and still drive well. Someone might say, if he’s such a good driver, why would he ever need to hit things? But this guy knows that when the police are after you, there’s no telling what’s going to happen. A police car might come out of nowhere and slam into your side and you have to be able to keep on driving. He proves to these men that he can. So this crew hires the driver to help them out, setting him up all the while. And in the end, the crew becomes men for himself, and the driver is forced to face off against them. But the crew didn’t tell the police the right address, and so it’s just them and the driver there. As the movie approaches the ending, it starts to get a little convoluted. There’s the great scene where the driver faces off against the last member of the crew, chasing around an abandoned warehouse in cars, searching for each other. And that scene is fun, but the stuff about the exchange on the train and then the locker filled with money is nothing special. The Driver is some pretty decent fun. If not for Bruce Dern, it would have been the same old thing. But he really gets into the character and the motivation. He wants to get this guy real bad, and him setting up other guys to pose, as McQueen’s crew is a very smart move. The movie isn’t anything special, but it does have some pretty good ideas going for it.